I had the urge to change it up and do something really different. So here you go! 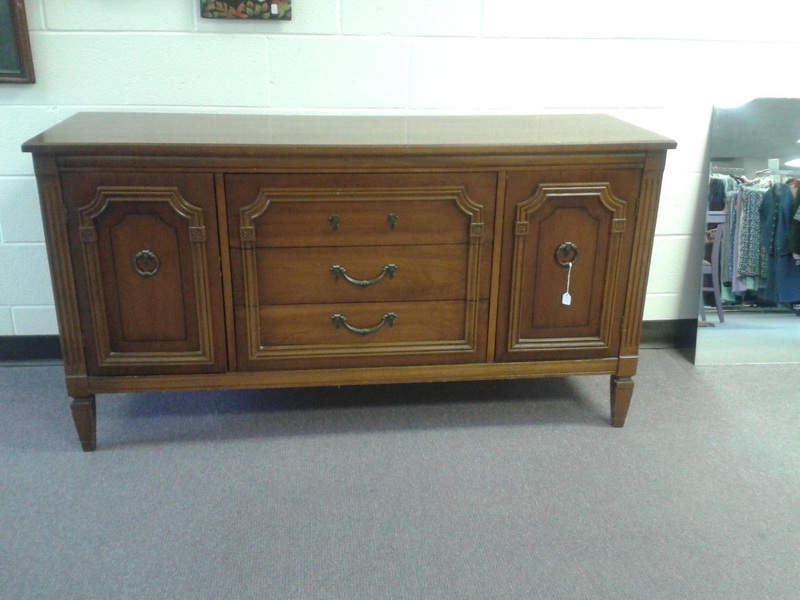 \ I found this buffet at a local thrift store. It was missing a handle and I could not find find one like it anywhere! Once I got it home it didn't take long to realize that this was the piece to have a little fun with. I liked the "frames" and decided they made this the perfect piece for my experiment. My initial vision was an abstract that would give the impression of a horizon... sky blues at the top gradually transitioning to greens at the bottom. However... I've been taking an oil painting class and we had just completed a landscape scene of Cades Cove (in the Smokey Mountains National Park) and I decided to overlay that scene. I bought this late 1800's dresser from a friend. The veneer on the top was in terrible shape and he had tried to take it off. 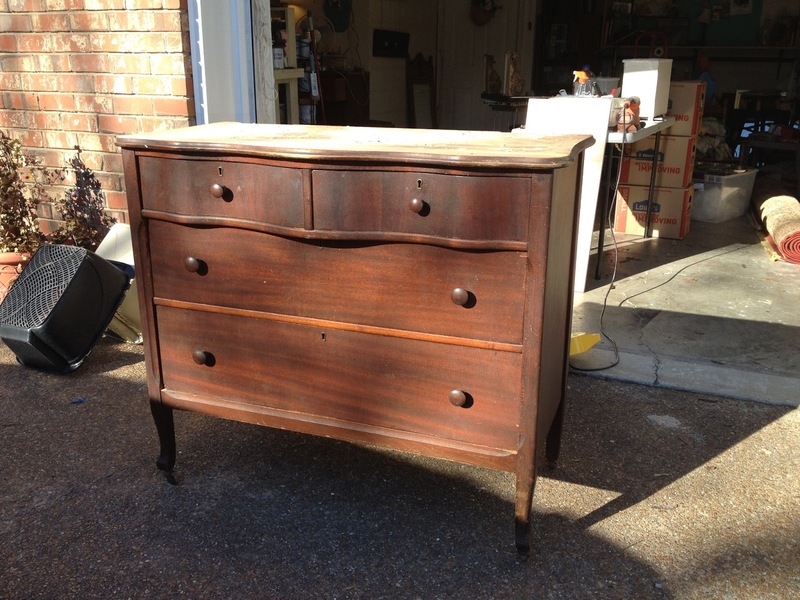 It was a mess but I finally managed to get it off and then patched the rough spots in the dressers top. I tried a variety of knobs but decided to use the original knobs. 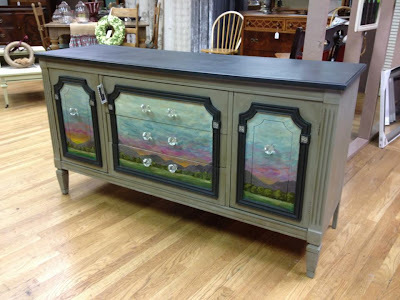 For fun, I painted the drawer sides with Annie Sloan Chalk Paint "Florence" and then used Modge Podge to line each drawer with pieces from "The Ladies Floral Cabinet" magazine dated 1876. I found a large stack of these in Vermont and they are so much fun to read! Here's the final product! It sold quickly and I hope the buyers enjoy it. It was a fun piece to work on.